That’s A Lot Of Uniforms, Eh? WARNING HOCKEY FANS: Do not check out this website unless you have at least 30 minutes to kill. The Hockey Uniform Database has pretty much every (and I mean every) hockey uniform from the NHL over the past 90 years. 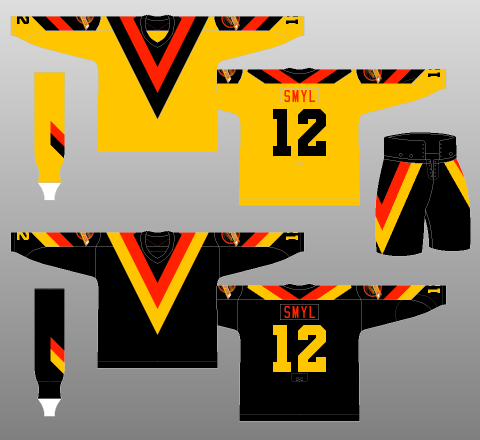 Everything from the Islanders’ Gorton Fisherman design to the Montreal Maroons’ 1924 uniforms are represented along with detailed descriptions and explanations behind any changes. Ever wonder what Challenge Cup series jerseys looked like when NHLers took on the Soviets in 1979? Wonder no more. I don’t know who’s behind this website, but whoever he is can only be called a hero.